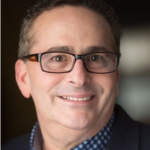 My guest Evan Hackel is CEO of Tortal Training, a leading training development company, and principal and founder of Ingage Consulting. He is host of Training Unleashed podcasts and author of the book Ingaging Leadership. Evan speaks on Seeking Excellence, Better Together, Ingaging Leadership, and Attitude is Everything.